My Live Chat Plugin for OpenCart allows you add live chat solution to your online store within few minutes. My LiveChat is a free, fast, high performance and most user-friendly live chat solution. It allows you to live chat with website visitors, monitor site traffic, and analyze visitors' web activities, including their search engine and keyword usage. This tutorial will help you install LiveChat solution on your OpenCart-based online store. Before you proceed you need to have a MyLiveChat account. If you don't have one, please sign up for a free LiveChat account. This tutorial is designed for OpenCart 3.x. For version 2.x, please check 2.x. Upload mylivechat folder "admin" and "catalog" to your OpenCart site root path. 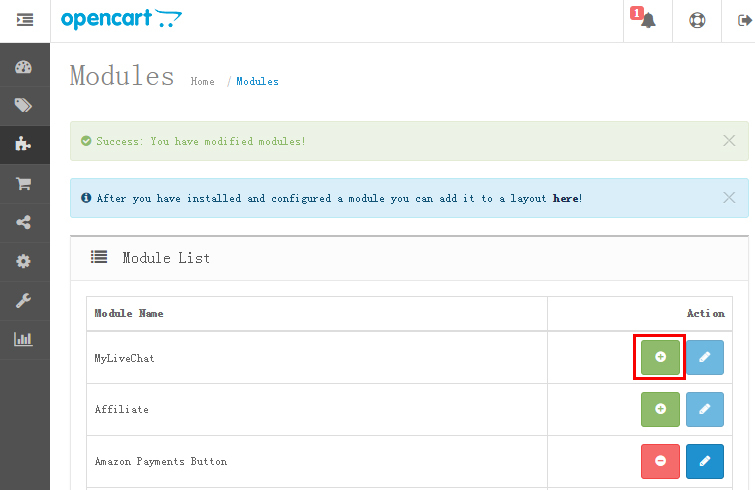 Login to OpenCart administration, open Extensions -> Modules, find MyLiveChat in module list and click Install button. Click on “Edit” button to set the mylivechat. Enalbe MyLiveChat module and input MyLiveChat ID. 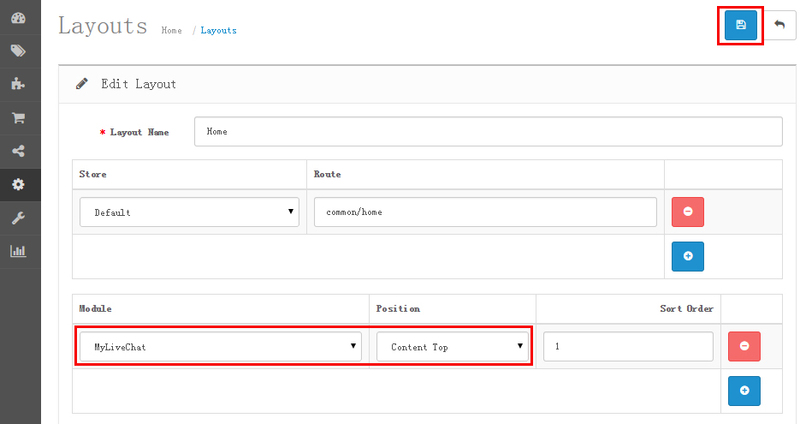 Go to System > Design > Layouts, click on “Edit” button to set the modules position for Home page. 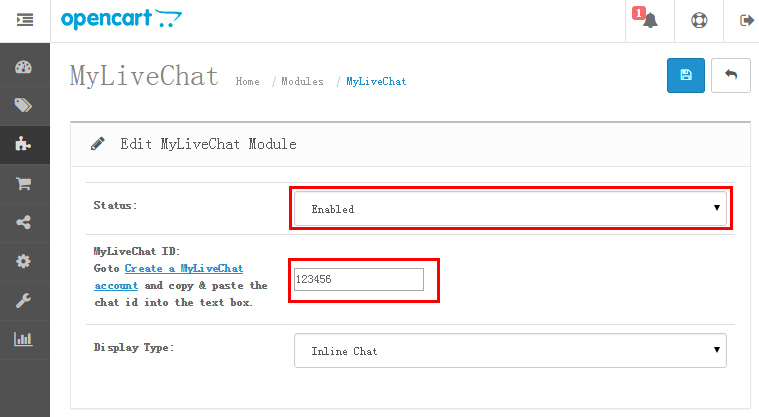 Select the mylivechat modules from Modules option.Select the Position for layout of mylivechat. To start chatting with your customers, install desktop agent console or use web console . OpenCart is a turn-key ready "out of the box" shopping cart solution. You simply install, select your template, add products and you're ready to start accepting orders.